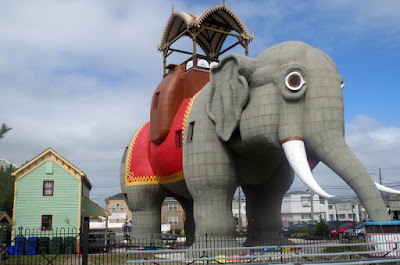 Along the Atlantic Ocean in Margate, N.J., stands an enormous pachyderm named, Lucy The Elephant. The six-story elephant-shaped novelty architecture building was constructed of wood and tin sheeting in 1881 by James V. Lafferty, a real estate developer with an eye on promoting his projects. Standing six stories tall and weighing 90 tons, she is covered with 12,000 square feet of sheet tin. Her first life was as a real estate office, then as a summer home, even briefly as a tavern. She became an attraction of Margate City, while Lafferty gave his real estate pitch. Lafferty went on to build other elephants in Cape May and Coney Island. Today, only Lucy has survived, but she nearly didn't. By the late 1960s, Lucy was abandoned and on the verge of collapse. 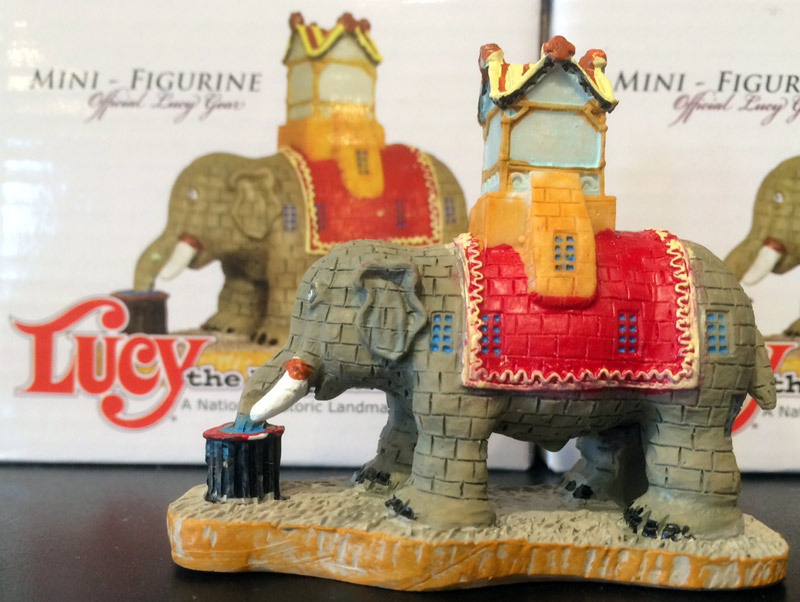 Coming to her rescue, the citizens of Margate raised money to restore the proud pachyderm to her former glory. You can tour Lucy's inside, entering via a spiral staircase in one of her hind legs. The tour climaxes with a stop in the open-air howdah on top Lucy's back. A pewter souvenir of Lucy is about 1-3/4" long by 1-1/2" tall. 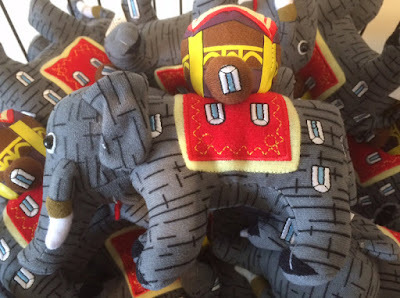 Made by ‘Gish,” the base has the words, “Lucy The Elephant” and the other side says “Margate – NJ.” The gift shop currently only sells a resin replica and plush toy in the shape of Lucy.